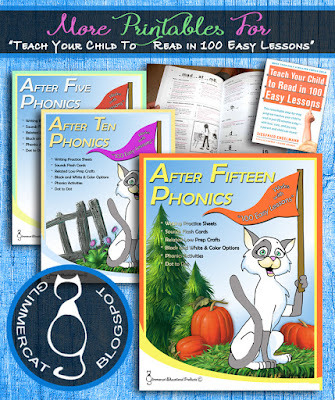 Glimmercat Education: Those Little Extras for Teaching Your Child to Read With "100 Easy Lessons"
Those Little Extras for Teaching Your Child to Read With "100 Easy Lessons"
One of the most popular items in our store has been the downloadable packets (free and otherwise) that are filled with supplemental activities that work hand in glove with the amazing Distar Reading Program, "Teach Your Child to Read in 100 Easy Lessons". 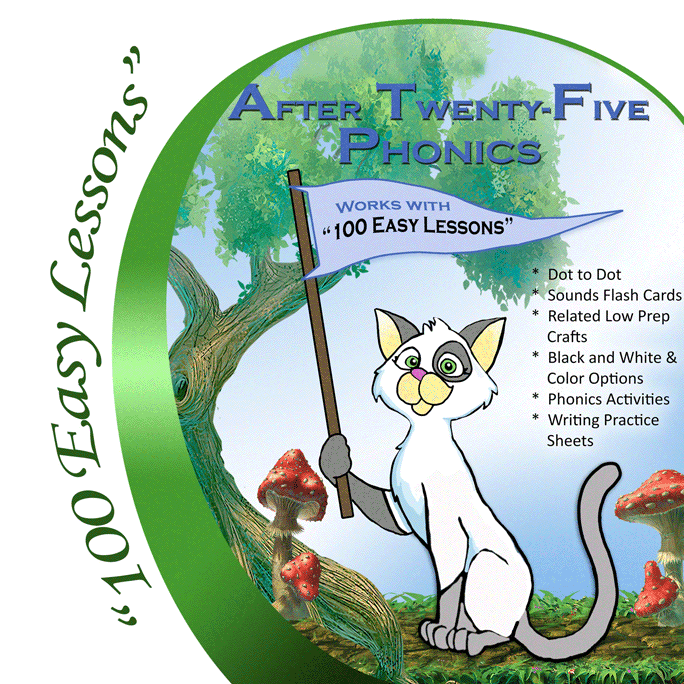 I used this reading program in my traditional classroom when I taught reading, but since the program is designed for a parent and child to sit down together one on one, I had to modify it quite a bit. 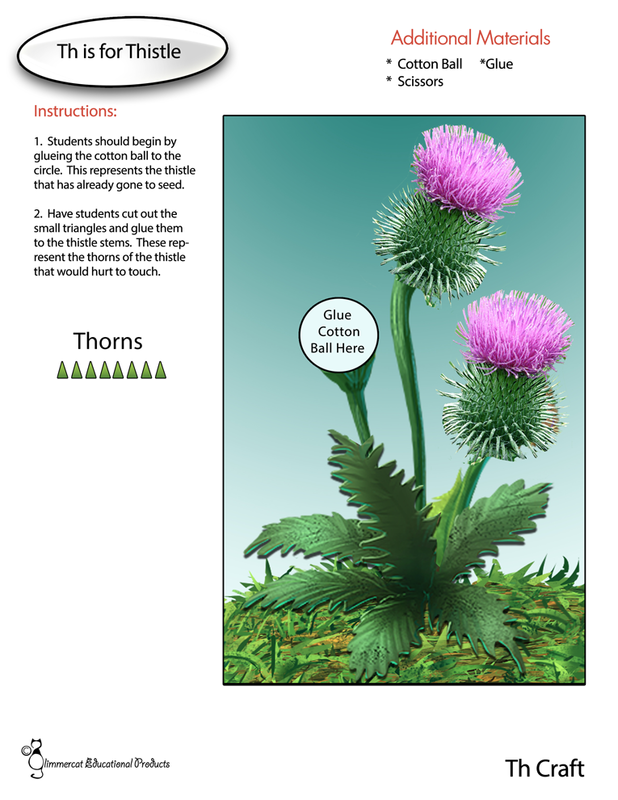 I created quite a few supplemental worksheets and printables at the time, that would work for the classroom experience. And now that I have begun using this program with my own children, I find that those supplemental worksheets are a lot of help. So I have been developing more and uploading these to my store, in bite-sized segments. 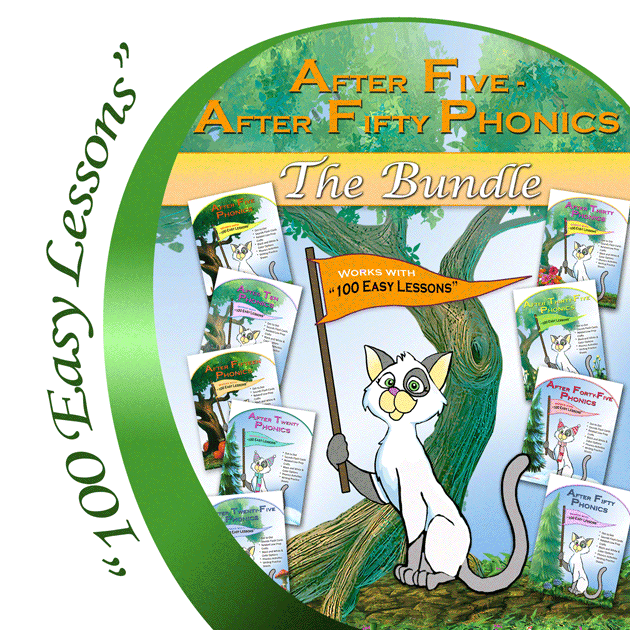 At this time, we are all the way up to Lesson 50, and offer our packets as a Bundle for cost-saving. 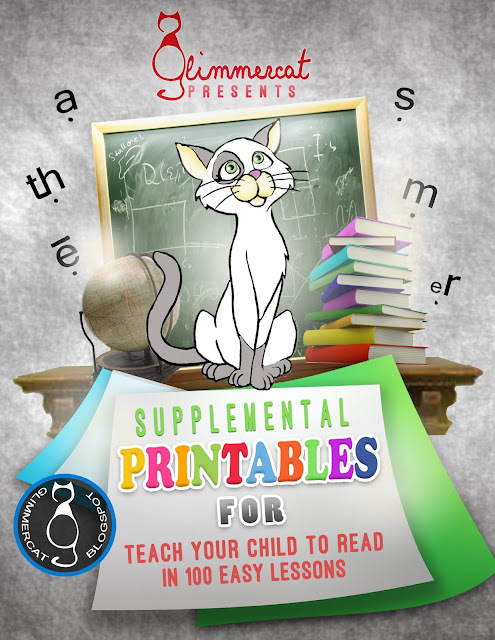 I have had many requests to create supplements for the entire 100 lessons. I'm working on it! This was our first experimental packet, following up the great reception to the freebies we put up. Now if you are familiar with the "Teach Your Child to Read in 100 Easy Lessons", you will remember that by the end of lesson 5, there are only 4 sounds to work with: a, m, long e, and s.
So the worksheets and crafts in this packet are based only on those sounds. 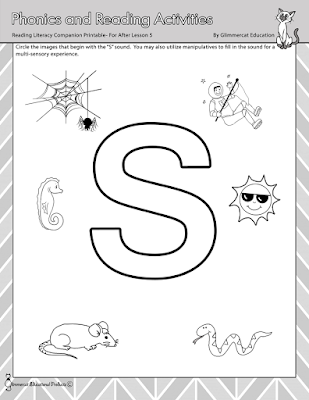 We included a Dot to Dot activity and crafts to keep it fun, but also really helpful are the Writing Practice Sheets that have the paths of motion already included for children that are just being introduced to these letters/sounds. 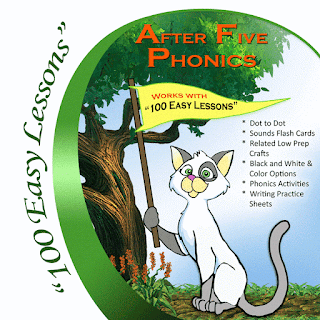 We call this one "After Five Phonics". Keeping the Covers of the packets pretty similar, but with different color schemes, our next release was "After Ten", intended of course, to be utilized after you and your child have completed Lesson 10 in the Distar Program. At the completion of Lesson 10, children will have been introduced to two more sounds: r, and t.
Now, very simple words can be formed, and so I tried to get creative with these and make worksheets that would echo the instruction that is received in the program. 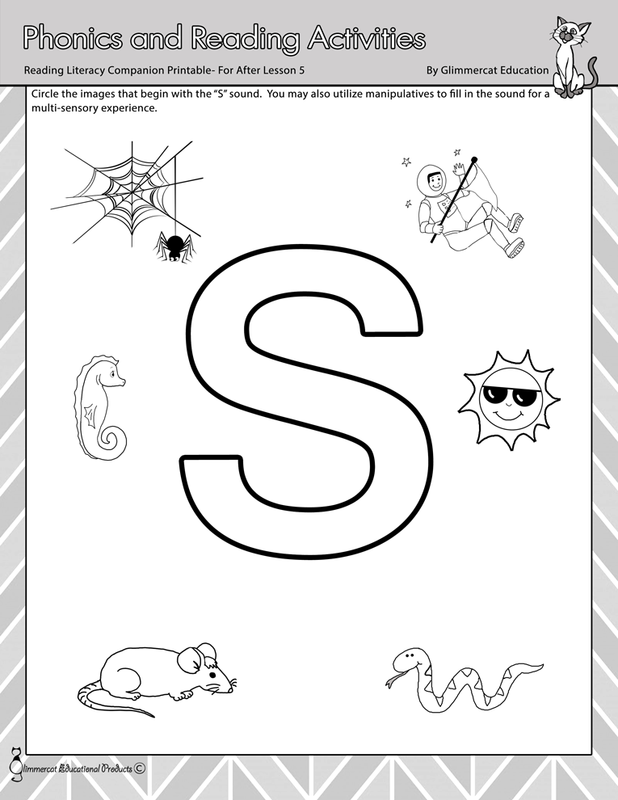 In addition to the craft pages and the writing practice sheets, I added a "Finding the Sounds" Activity, utilizing shapes and a "What Do You See?" 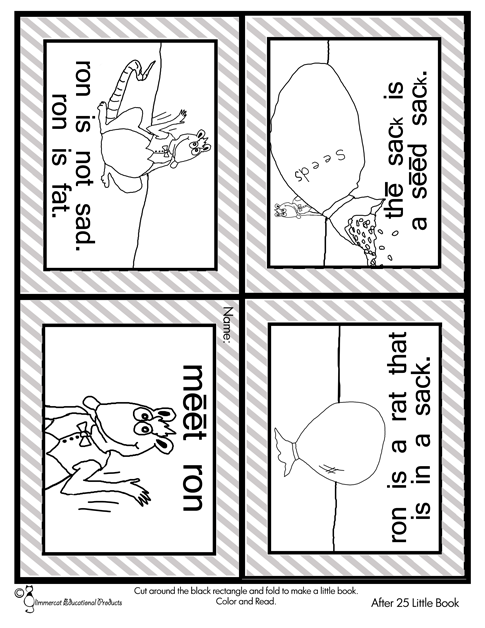 page where children can illustrate a short sentence that they have read. 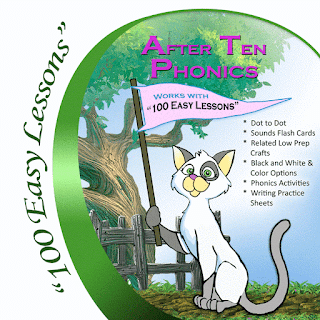 This, of course, is "After Ten Phonics". By this time, I was starting to receive some great feedback, including the news that a 2nd grade Special Ed teacher was utilizing these new worksheets and so I decided to try my hand at a few other new kinds of activities in the next packet, "After Fifteen". 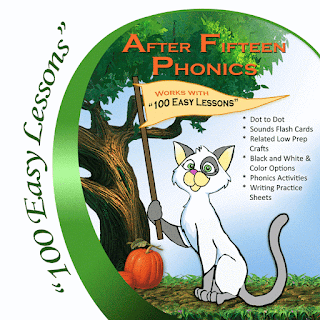 The sounds introduced between Lesson 10 and Lesson 15 are d and the short i sound. 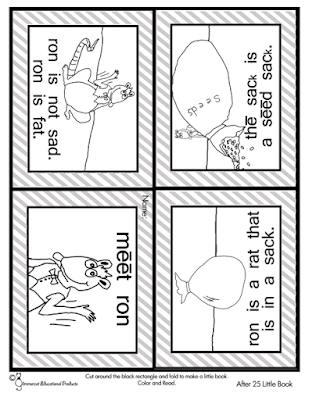 So after creating all the activities I now considered standard for the packets, I also created an "Identifying the Sounds" worksheet and an "Identifying Words" worksheet, so that children could work with newly acquired sounds by connecting the sounds to the pictures represented. Now I was having people contact me via my website to ask when and if I would have the other packets completed soon. This was exciting and also helped me to keep the creative juices going. 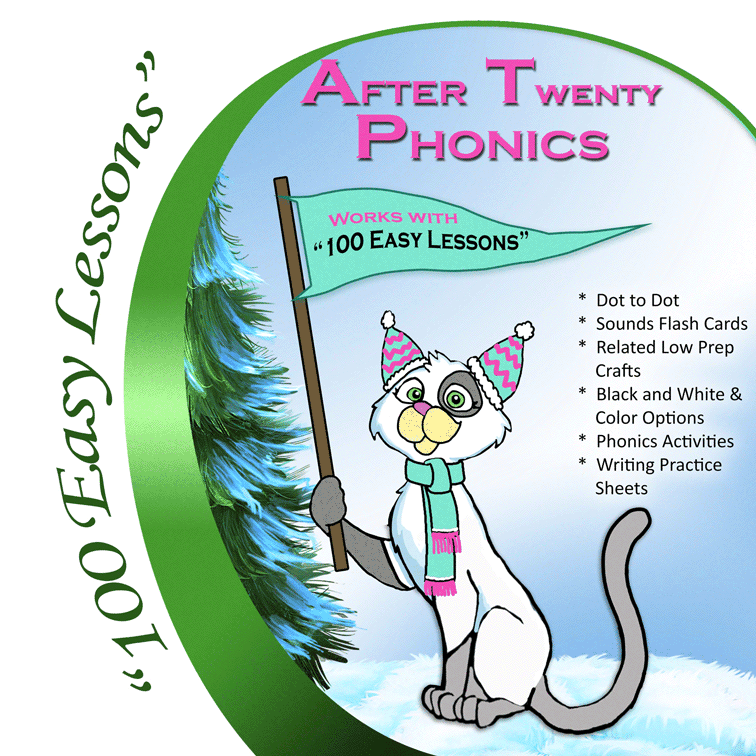 "After Twenty" also included another new activity, a Story Time Page, where children can practice their reading comprehension of a very simple story. Then, came "After Twenty-Five". Along with the crafts, and the other activities that have already been listed, I added something new to this packet. The new addition is something I have been wanting to do, when enough of the sounds were there. After Lesson 25 in the Distar program, children have been introduced to sounds o, n, and f.
With these sounds added to the repertoire, there are now enough sounds to create a Mini Book, that children may read, color, and then take home to share their skills with their parents. The Mini Book is intended to be cropped to the size of the outer black rectangle, folded into a 1/4 sized paper book, and then read, and colored, if desired. As we have expanded our packets, the supplements we have created have modified and expanded as well. We now offer multi-sensory pages for each sound in the first 50 packets. These Multi-sensory pages are not only able to be used for children to find and circle the images that begin with the sound that is pictured, but they can also use manipulatives to fill in the sound. For instance, this nice big S sound could be used to fill in with string or small stones. Children have the opportunity to create the letter using manipulatives like these. We have also revamped some of our Craft pages, to ensure that children can learn more about the new sounds they are learning through easy, crafts that help explore vocabulary with delightful experiences. We can't wait for you to dive in and learn more about these awesome supplements! Come visit our store, and look them over in detail. 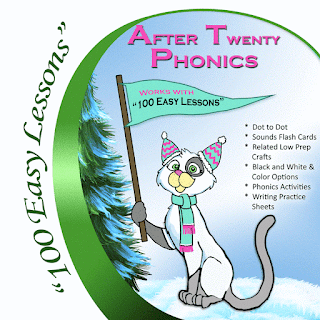 I am using "...100 easy lessons" to teach my kindergartner. I love these supplements! Thanks!